We are sad to announce that Roger Pownall passed away suddenly on Saturday morning, August 9, 2014, but we know that he is safely in the arms of his Lord and Saviour. Those of us who knew and loved Roger will miss him deeply. May Rene and the Pownall family find solace and comfort in God during this sad time. With great sadness the family announces the passing of Roger Pownall at Grand River Hospital on Saturday, August 9, 2014 in his 78th year. Loving husband of Irene (nee Herring) and Dedicated father of Annette (Mike) Deckert, Christopher Pownall and Andrew (Arlene) Pownall. Grandad leaves precious memories with Eric (Marnina), Nathan (Kate), Emily (Duston), Bryce (Thao), Alexis (Adam) and Liam. Much loved brother of Derrick (Leslie) Pownall. Roger is predeceased by his parents Frederick and Irene (nee Selby) and his brother David Pownall. Roger was a dedicated soccer fan, and for many years he coached minor soccer, sat on the board of directors and sat as President of Kitchener Minor Soccer for several terms. Soccer made him many lifelong friendships. He enjoyed watching soccer games in any capacity and at any level, including his favorite team Leyton Orient. Roger spent 20 years as a dedicated sales manager with Carlton Cards Ltd. Many will miss him at the A.R. Kaufman Y.M.C.A., where he worked the “early, early” morning shift for over 20 years. Roger immigrated to Canada in 1967, and spent the past 47 years waiting for the Leafs to win another Stanley Cup. 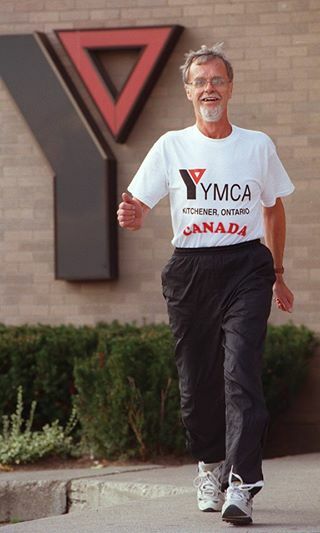 Roger loved to walk and his passion for walking saw him clock countless kilometers and even complete a few marathons. Roger was a loving husband and devoted father, he was dedicated to his family and they always came first. He was an active member at Westheights Brethren in Christ Community Church and will be dearly missed by all of those whose hearts he touched. The Pownall Family will receive family and friends at the Westmount Funeral Chapel, 1001 Ottawa St., S., (at Westmount Rd. ), 519-743-8900, on Wednesday from 2-4 and 7-9 p.m. Funeral Service will be held at the funeral home chapel on Thursday at 11:00 a.m., cremation to follow. As expressions of sympathy donations to the St. Mary’s Hospital Cardiac Care Unit or Westheights Brethren in Christ Community Church Building Fund would be greatly appreciated. 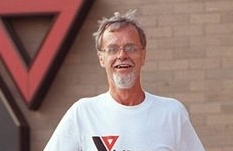 Visit Roger’s memorial and share a memory at www.westmountfuneralchapel.com.